.NET Interface is a class library and an object model to access parameters in a CHEMCAD flowsheet. 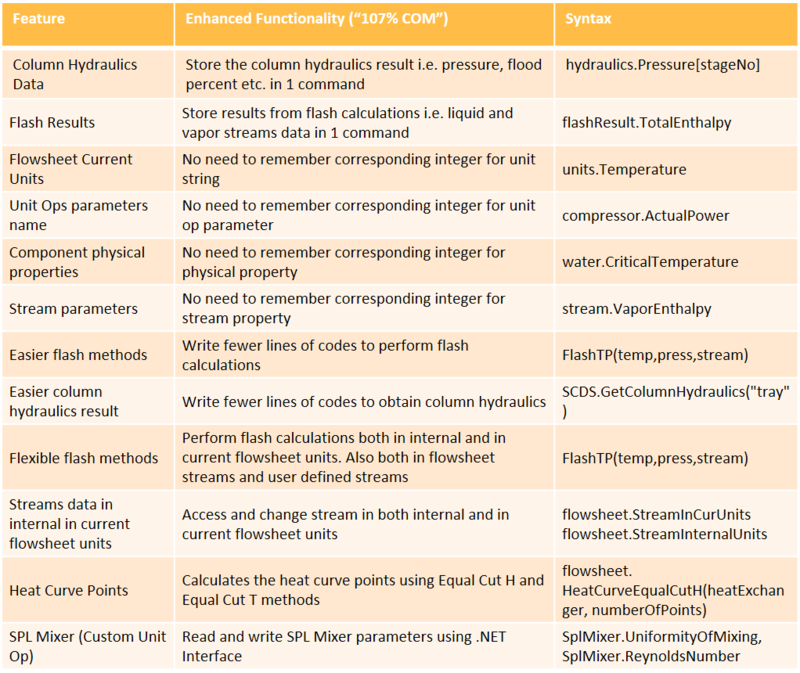 CHEMCAD flowsheets contain unit operations, streams and physical properties. These objects have many parameters. With .NET Interface you can read any of these parameters, change their values, and write them back to the flowsheet. Although you need CHEMCAD’s graphical user interface to design a flowsheet, you may want to restrict the access to your flowsheet afterwards. For example, to protect most but not all of the information from being accessed. Or you may want to automate the access to your flowsheet, i.e. have another application use it for thermodynamic calculations. For Process Engineers, we have listed more examples here. For Software Engineers, we have listed more examples here. .NET Interface for CHEMCAD is an object API in the form of a DLL file (library). To demonstrate how it works, we provide code snippets in C# and MATLAB. We recommend to use the latest versions of CHEMCAD, Visual Studio and .NET Framework. Check out the minimum requirements! 100% COM: We have the entire functionality of CHEMCAD’s COM interface covered. 2 sets of engineering units: We enable to use CHEMCAD internal engineering units or user units. Object oriented: We have packaged all the functionality in objects and methods. Check out the class library documentation! Enhanced functionality to COM (“107% COM”): We have added useful commands to access complex objects easier – see the table for details! Programming an application takes time. Therefore, Development licenses contain unlimited hours. Get a free trial here! Running an application may require few or many computing transactions as well as little or much computing time. Depending on the application, all combinations are possible. Therefore, Deployment licenses tariff a combination of the number of CHEMCAD Run calls and hours of usage. CC-API is the official Application Programming Interface for interfacing with CHEMCAD. It is endorsed by Chemstations, Inc. in Houston, TX (USA). Because the good ideas come during creative times, we offer a free trial license.